In 1750, in a bid to provide an entertainment and rest area for royal families, the construction of a luxurious royal garden known as the Summer Palace was set in motion. At the end of the Qing Dynasty, it became the residence of members of the royal family. Today, the area is referred to as 'The Museum of Royal Gardens' due to the culture, views, landscape, and the influence it has on horticulture in China. Of all the royal parks in China, this covers the largest area and is also very well-preserved. The design of the pavilions, temples, and gardens in the Summer Palace was intended to be appealing to any viewer and also achieve a landscape which is balanced in nature. Rather than staying within the Forbidden City, the Summer Palace was a popular destination for the imperial family all through the Beijing summers. It offered a great way to relax in nature. During this time, it also became the residence of Dowager Emperor Cixi. 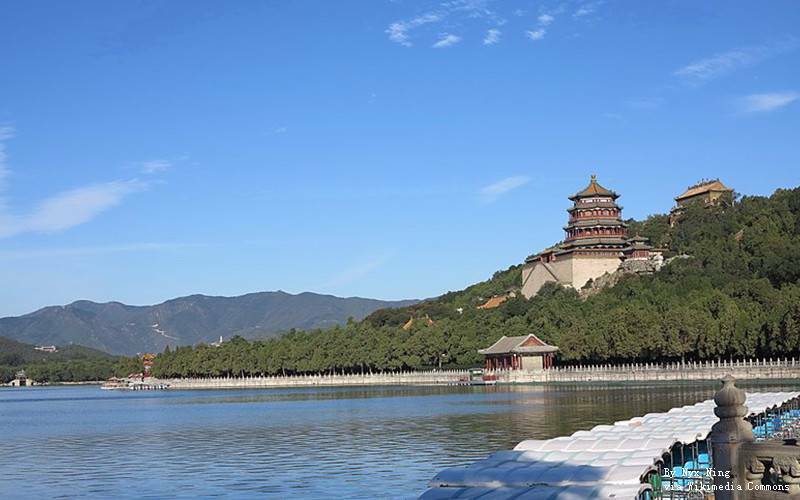 In 1998, while referring to the site as "a masterpiece of Chinese landscape garden design,” UNESCO elevated the Summer Palace to world heritage status. The Summer Palace is an excellent example which depicts the Chinese practice of garden design. There are different areas of the Sumer Palace. Some areas are for relaxation, some for administrative purposes, while others are residential areas. The character of each area is unique. 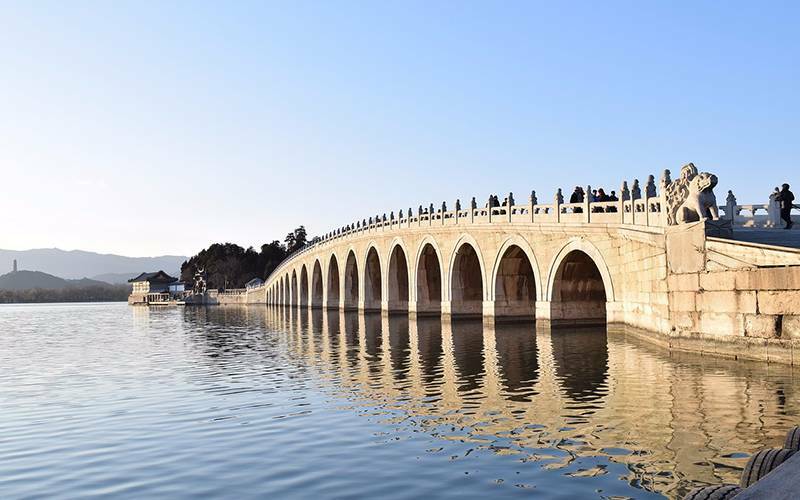 Key areas of the park include the Longevity Hill, the Kunming Lake, the garden of Virtue and Harmony, The Long Corridor, The Marble Boat. There are various activities you can enjoy in the park. Take a walk and enjoy sights of courtyards and buildings, visit the great traditional theater to watch a performance, check out traditional shops by the river, or explore an island temple with a 10-minute boat ride. To find palace buildings which served Emperor Guangxu and Dowager Empress Cixi, then you should go to the court area close to the East Palace Gate. It also consists of displays, courtyards, and halls. Dehe Yuan, the Garden of Virtue and Harmony, serves as an entertainment complex. This theater which was constructed for Empress Dowager is currently the largest wooden stage in the whole of China. It has a lot of artistic and cultural value due to the great structure and exquisite design. The stage is also popular as the “Cradle of Beijing Opera” from which Qing Dynasty opera actors usually hold performances for Empress Dowager. On display, you will find gifts from foreign states to the Qing court, as well as articles of the empresses and emperors which are very precious. About 75% of the park is covered in water. This water body is known as Kunming Lake, which is at the center of the park. Along with the Longevity Hill, this is the most significant landscape feature of the park. Between the east bank and the South Lake, Nanhu, you can find the popular 17-hole bridge. The bridge spans about 490 ft or 150 meters in length. Just on the side of the lake, you will find the rising Longevity Hill. On the upper part of the hill, you will find a Buddhist Temple with an excellent view of the whole landscape. There are also various temples and halls on different parts of the hill. If you follow the paths on the side of the lake, you can you're your way to the Long Corridor. This is a colonnade with excellent paintings on the ceilings and appealing landscape features. The only structure with a Western-style in this park is the Marble Boat. This is an imitation of a real boat which was built in 1755. At the northern edge of the lake, you can find this building with lots of decorations including colored brick paving, wheels, and windows with colorful glass. Most of the shops in this market are only accessible by boat. Providing the atmosphere of traditional riverside shops, this area used to serve as a place for 'pretend-shopping' for concubines and past emperors. During the winter period, there is no cruise since the lake is usually frozen. This makes summer the reasonable choice. Since you will be walking for a larger part of the visit, put on a shoe which offers comfort. Enjoy a fun ride on the boating cruise on Kunming Lake. The ride is a 10 minutes trip to take you away from the large crowd around the park. The entrance fee does not include the boat fee.